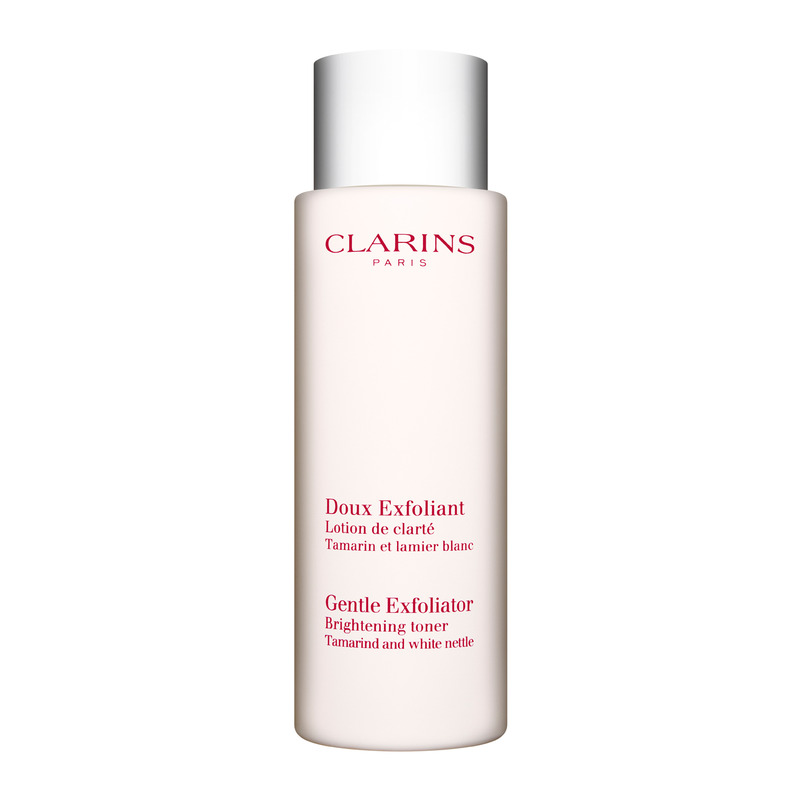 Clarins’ gentle exfoliating toner brightens, smoothes, and balances skin—for a radiant complexion. Tamarind extract rids skin of dry, flaky surface cells. White Nettle extract refines enlarged pores. Helps prevent the build-up of pore-clogging debris—encouraging cellular renewal and soft, healthy-looking skin. Rated 5 out of 5 by Amary from Great Toner! I started using a sample of this product and immediately the next day I noticed the difference. I decided to buy the full size since I am delighted. My skin looks lighter and fresher. It is not an irritant or strong product. The smell of this tonic is smooth and very pleasant. I definitely recommend this product and if you have doubts try a sample and I assure you will love it. Rated 5 out of 5 by CM1723 from A lovely toner! This toner is wonderful :)...very happy I ordered it! Rated 4 out of 5 by Anonymous from Chemical Exfoliator Full of BHA and AHA but very gentle, this toner is perfect when used after the exfoliating peel mask. Rated 5 out of 5 by Nanie from Loved it! I highly recommend this product, it really brighten my skin! Rated 5 out of 5 by NewYorkCityGirl from delicious scent & very effective it is interesting to me how people seem to get great results from this product by using it completely different. For example a previous reviewer said that she uses the toner once a week, waits and then washes it off. I use this toner almost every night, do not wash it off, wait a few minutes then apply my Restorative Night Cream. This is not irritating to my 40+ normal skin at all, zero irritation. I adore the scent and the consistency of this product. It is fabulously effective - since I started to use it I have been receiving more compliments on my skin, and people ask me what I use on my face. I love the product. 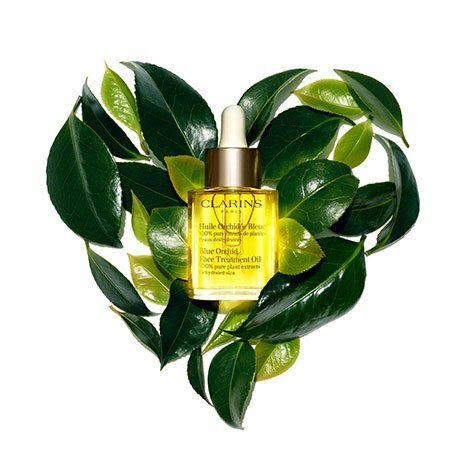 Another Clarins hit. Highly recommend it. Rated 5 out of 5 by Libyo from Love this product This product leaves your skin smooth, radiant, and brighter straight after the first use. I would recommend this product over any other products. Ive looked into other body exfoliators but the ingredients in this product beats the rest. Rated 5 out of 5 by MJJmasala from The BEST for your facial regimen I have been using this particular toner for years now and I must say I cannot live without it! This brightening toner is what I use for my weekly spa facial regimen: twice a week, on my days off Tuesdays and Fridays, I wash with my Clarins Gentle Foaming Cleanser with Tamarind, followed by my Clarins toner - either Water Comfort One-Step Cleanser with Peach essential water if I am doing my facial in the morning after my shower, or my Clarins Toning Lotion with Camomile if doing my facial regimen before bedtime. After, I exfoliate with Clarins Gentle Refiner Exfoliating Cream with Microbeads to really get into my pores for that deep exfoliation that is SO DELICATE to my skin as tough as it works. I rinse off the exfoliant and follow with submerging my round cotton with this Gentle Exfoliator Brightening Toner, apply on my face as instructed and I leave on for a minute to a minute and a half tops - then rinse off. Apply my eye cream and moisturizer immediately after. Voilà - my face is aglow, looking like I just got a professional facial at a Clarins Spa! If you compliment this toner with the exfoliant mentioned above, and use only once or twice a week and no more, without fail you will look like you just got a professional facial - yet conveniently in your own home! Skin is brightened, left looking fresh and flawless. Years of stress appear minimized. It basically acts as a peel - an invisible peel - which is why you leave on your skin for a minute and must rinse off afterward. Rated 5 out of 5 by meshell263 from Amazing! I have noticed such a change in my skin tone and texture since using this product. I'm almost through my first bottle and it's left my skin smoother and much brighter. Although it says to use once or twice weekly, I use it every other night. This product truly is amazing!